Winner of the prestigious Azorín Prize for Fiction, the best-selling novel about love, sacrifice, and Picasso's mistress, Dora Maar. A writer resembling Zoé Valdésa Cuban exile living in Paris with her husband and young daughteris preparing a novel on the life of Dora Maar, one of the most promising artists in the Surrealist movement until she met Pablo Picasso. The middle-aged Picasso was already the god of the art world's avant-garde. Dora became his lover, muse, and ultimately, his victim. She became The Weeping Woman captured in his famous portrait, the mistress he betrayed with other mistress-muses, and their affair ended with her commitment to an asylum at the hands of Picasso's friends. The writer's research centers on a mysterious trip to Venice that Dora took fifteen years later, in the company of two young gay men who were admirers of Picasso, including the biographer James Lord. After this episode, Dora cut off contact with the world and secluded herself in her Paris apartment until her death. "After Picasso, God," she would say. What happened in Venice? The more the writer investigates, the more she finds herself implicated in a story of passion taken to the extremes. 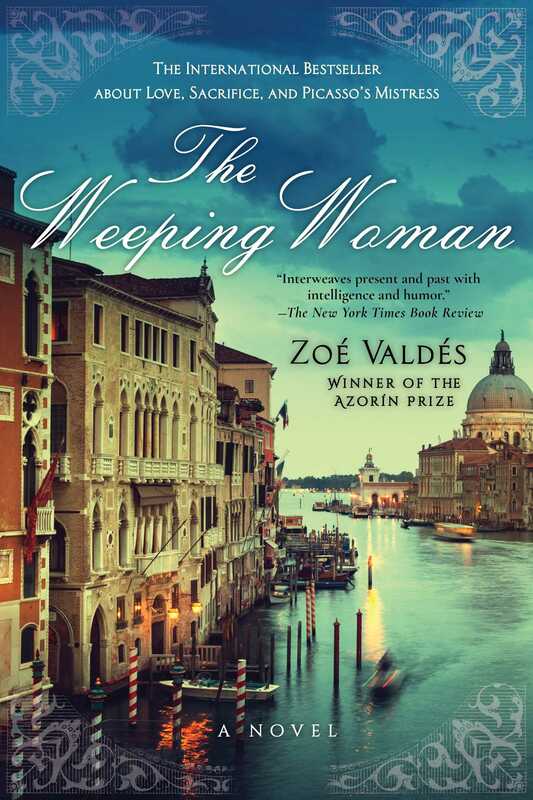 In The Weeping Woman, prize-winning novelist Zoé Valdés narrates the journey of a woman who would do anything and everything for love.